Alrighty, kids! Of course we're all about affordable fashion around here because I understand that my readers are usually in college or fresh grads so we're all on a budget. 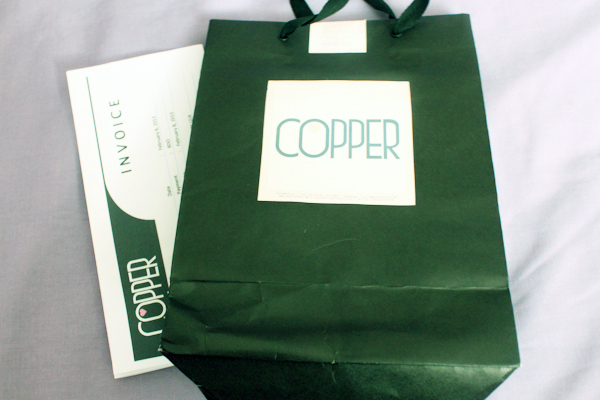 Today, let me share with you a shop called Copper. They are a retail store located in Ruins, BF Homes, Paranaque, and they also have an online shop if you can't drop by there. I've always wanted to pick out a few pieces from them to try out, but I rarely go to the area, and whenever I go to their online shop, it's always sold out! Clearly, everyone loves them! But luckily, I caught a fresh batch of uploads and went ahead to send in my orders last Wednesday; settled things on Thursday; got my package on Friday. Copper also provides measurements on their online shop so that you can make sure it fits you. 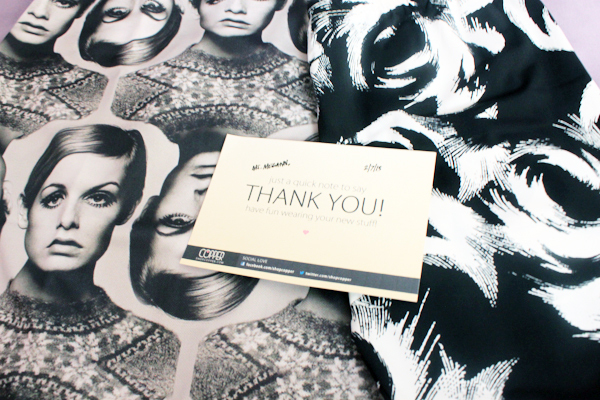 These are really interesting prints and I don't think I've seen these elsewhere here in Manila, so for the price, I believe they're worth it; especially for the leggings because I usually see printed leggings priced at P450 or higher. I'm really excited to wear these out! Thank you to Copper for being so helpful and sweet when I was ordering. Tell me your faves from their latest collections, Mono & Stereo. Those prints are awesome, great post.